While in Venezia we saw lots of beautiful glasswork in store windows. Murano glass is deservedly world-famous, and it was our luck that one of the shops also has a glassblowing factory open to the public. Here are some photos from our visit along with some of what we learned along the way. 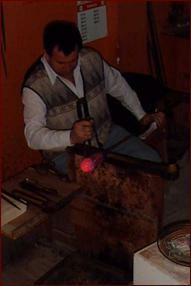 Note of glass-making dates back to the beginnings of Venetian history. They settled the lagoon's islands to escape the barbarian invasions, and shortly thereafter were making glass. At Torcello, one of the first islands of the Venetian lagoon to be inhabited, artifacts from the seventh century have been uncovered. 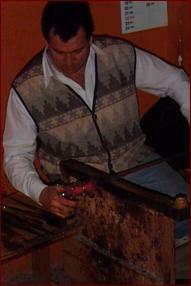 A document from 982 A.D. mentions glass-working artisans. 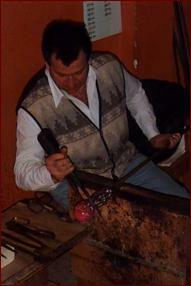 The guild of glass blowers dates back to 1224. 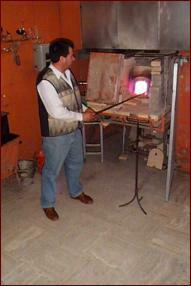 In 1271 the regulation of glass production is documented. 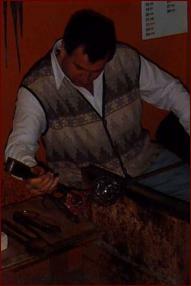 Glass-making was passed from father to son, becoming a trade exclusive to those born on the island of Murano, where all the factories were moved in 1921 to isolate the fire hazard. The secrets of this important export item were closely guarded. Glassmakers leaving the Ventian state were condemned to death as traitors. In Medieval times glass, typically glasses and bottles, were practical (and rough). During the Renaissance they became more decorative and ornate (in a variety of creations, colors, and motifs); objects of desire for palaces and houses of the rich. Personalized tablewear became in vogue. 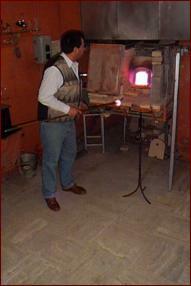 The first show of antique glass art works was held in 1864. The techniques of working glass for chandeliers, mirrors, necklaces, drinking glasses, plates, vases, bottles, and ornaments have come out of Murano’s furnaces to decorate homes, palaces, and museums all over the world. There are tours of the island itself, for which we didn't have time. Next time, perhaps.